What is the LMA Performance Advantage? Quite simply, it is our unique, proprietary process for how we partner with clients to deliver bottom line business results. 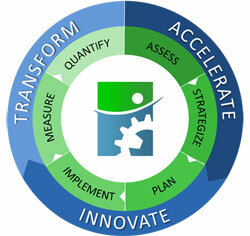 Our passion is in maximizing multiple variables to enable scalable, profitable growth and business success. We find that businesses not only have thousands of priorities but in today’s Amazonian environment, frought with elevated customer expectations, technology disruption and cost pressures, taking the eagle eye view of your business to synthesize the best combination of priorities yields maximum results. Our LMA Performance Advance provides a roadmap for navigating successfully no matter your unique situation. Here is a sampling of our results. For a longer list, see our client results webpage. Don’t Listen to Us. Hear What Our Clients Say! "Lisa brought real results to the bottom line. She also works well with people and demonstrates exceptional influence leadership on any project she undertakes." "Lisa is a highly experienced supply chain professional with a deep understanding of operations who has demonstrated her ability to maintain focus and deliver sustainable results."